Member Choice control is used for selecting one or several cube dimension members. Dimension members’ properties are accessible in the selection window, which can simplify finding the required members. A user can select both folders and list members. By default, all dimension hierarchy levels are accessible for selection, but users can limit the set by one specific level they require. In case the level has too many members, a special Load next… item in the member tree is shown to inform the user about the fact not all data is currently displayed in the list. 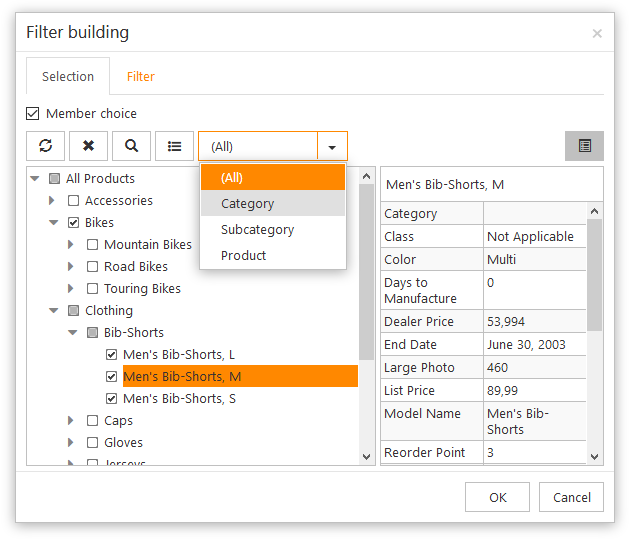 The control allows selecting cube dimension members either manually or via the context menu that provides options for selecting groups of members. The member choice control context menu in the HTML version allows choosing the selected item, its child items or its descendants. 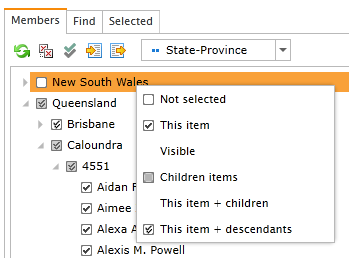 The context menu in the WPF versions provide more options for selecting dimension members, such as choosing all visible items, the selected member with children, the selected member with descendants. The MDX query can be seen in the Selected tab. It is possible to search for cube dimension members based on member properties, using parameters determined by the user in the Find tab. 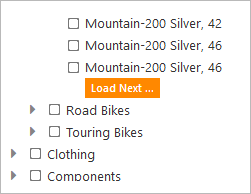 HTML version allows setting one parameter for member selection, while in the WPF versions you can use several parameters and search conditions. 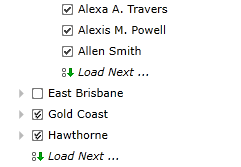 The Selected tab displays the list of selected members with indicators of the selection types. 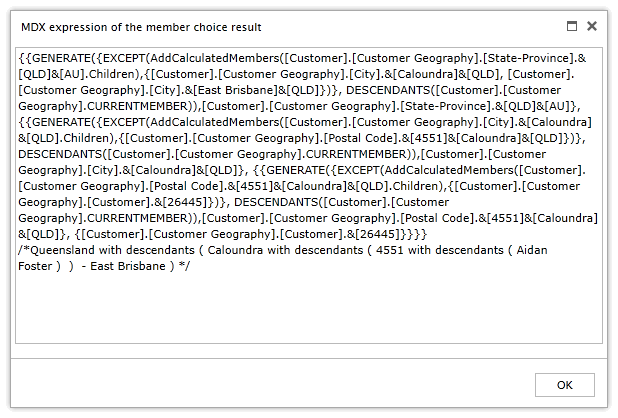 Users can also see the MDX expression generated when selecting the items in the member tree. 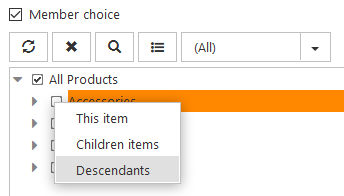 Upon initializing, Member Choice control restores the “selected status” of the elements (selected, selected with children, selected with descendants, etc.) in accordance with the report settings. Selected elements can be sent as parameters in the form of Set (MDX expression) or a collection of unique identifiers, each having a particular “selected state”. Member choice supports cube security settings that define which elements a user can choose. Besides, the data available to a user can be limited in the software, with an embedded cube sent as a parameter. When Member choice is initialized, the parameter check is conducted, and the elements missing in the cube are excluded from the processing. All actions are recorded, which makes it easier to find errors or locate other issues. This is especially important in cases when report settings and parameters are ported from the applications Ranet is integrated with. The selection results can be saved in the server file storage for further use in other reports, accessible to other users. The system filters the settings according to the cube name and dimension hierarchy, which prevents users from loading elements from another cube. You can download a 30-day trial of Ranet OLAP and try the functionality of the Member Choice control for free.